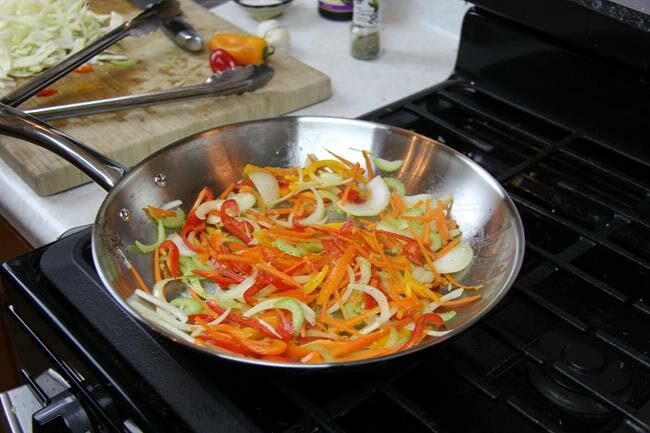 Recipe – Jerk Chicken Stirfry. 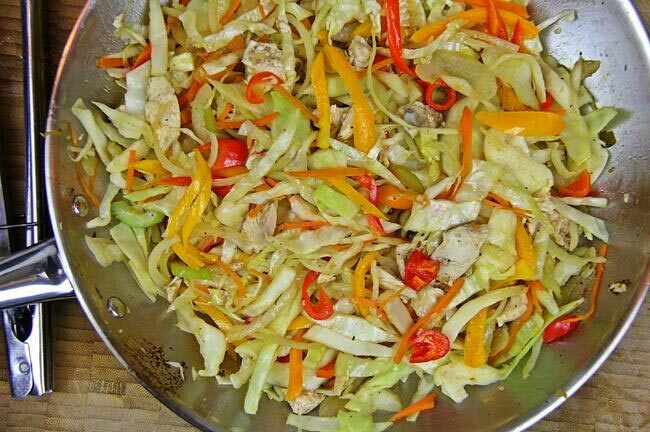 After sharing a pic of this Jerk Chicken Stirfry on Instagram, I had someone comment “what is leftover jerk chicken?” I do agree, there are many Caribbean dishes which always seems to be gone by the end of the meal. Keeping in mind that I make additional dishes with leftover jerk chicken (chicken salad, fried rice and stirfry) I purposely make extra every-time I make jerk chicken (same can be said about Stew Chicken as well). This an absolute WINNER in my home and I’m sure it will make a delicious impression on you and your family. I usually use chicken pieces with bones when I make Jamaican jerk chicken as I love the additional flavor you get from the bones. In my case I had to remove the meat off the bones (I used a leg and breast) and gave it a rough chop. Set aside. IMPORTANT! 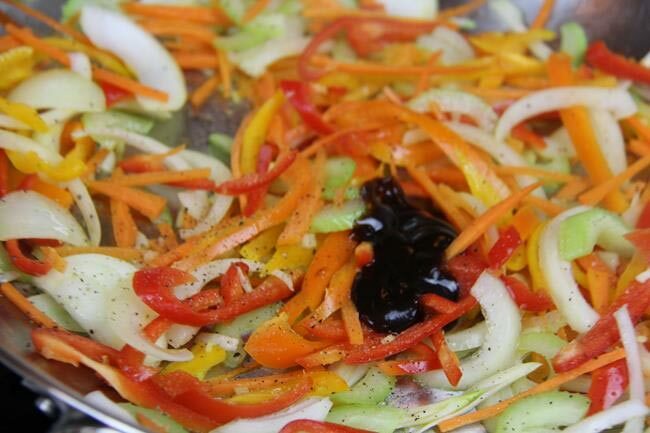 If you have any pan drippings from your jerk chicken SAVE it and add to this dish. 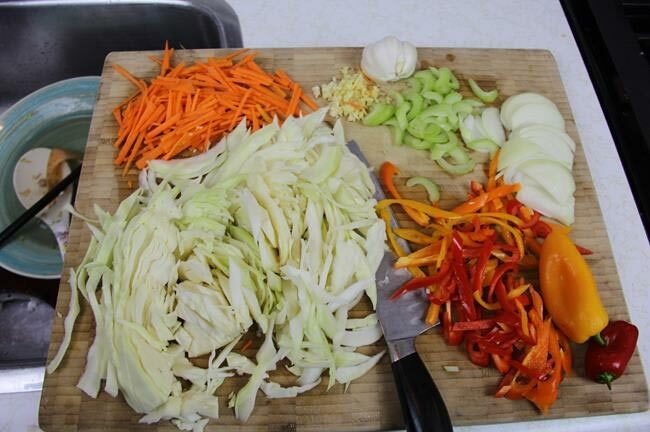 Prepare the vegetables and set aside. Try to keep them the same size so they cook evenly. 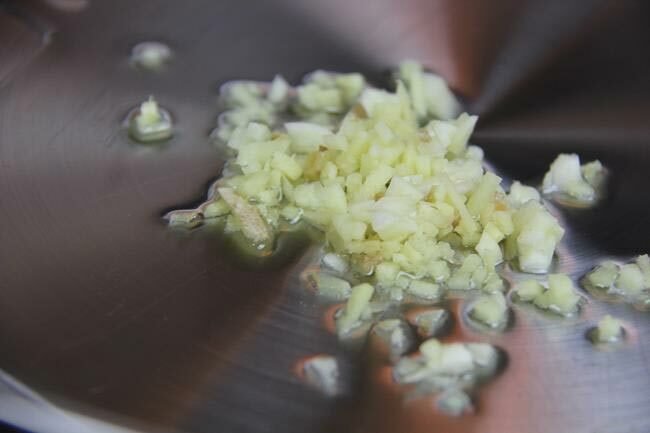 Heat the oil in a wide pan on low and go in with the garlic for 20 seconds. 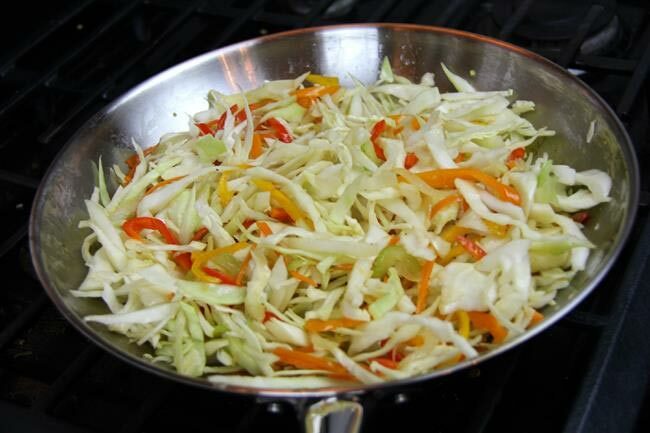 Turn up the heat to medium and go in with the peppers, onion, ginger and celery and mix well. Cook for 2-3 minutes. Then add the soy and Hoisin sauces and toss. 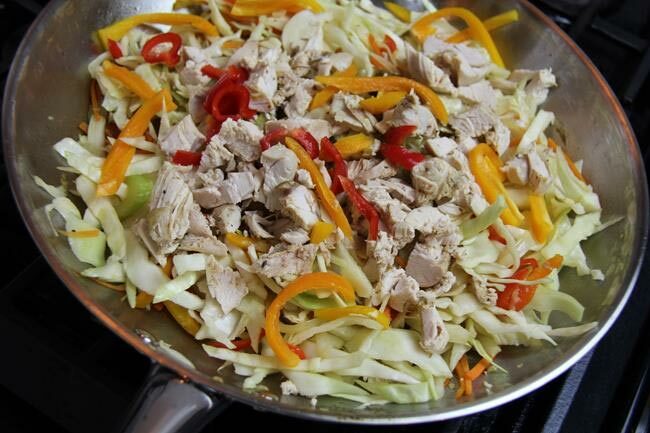 Now go in with the pieces of jerk chicken, mix well and then the cabbage. At this point you can add all of the other ingredients. Remember to add any pan drippings you may have and for a MORE intense jerk flavor you can add a tablespoon of your fav jerk sauce/marinade. Please don’t cover the pot as we want the vegetables to maintain a slight crunch. That is unless you like soggy vegetables, then do your thing. 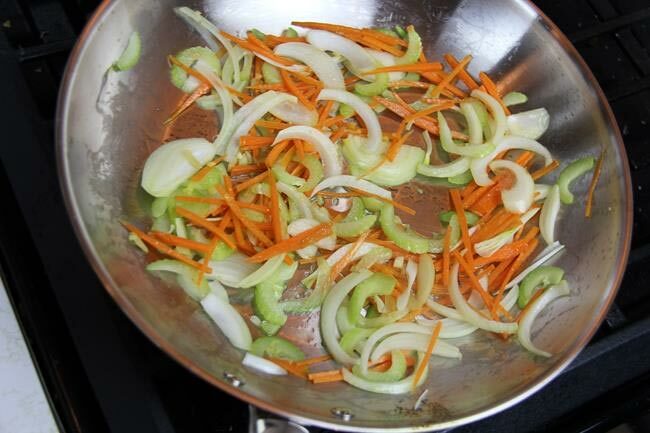 The soy and salt we added should be enough to properly season this dish, but you can adjust to your own liking. Now you have a reason to make extra jerk chicken! 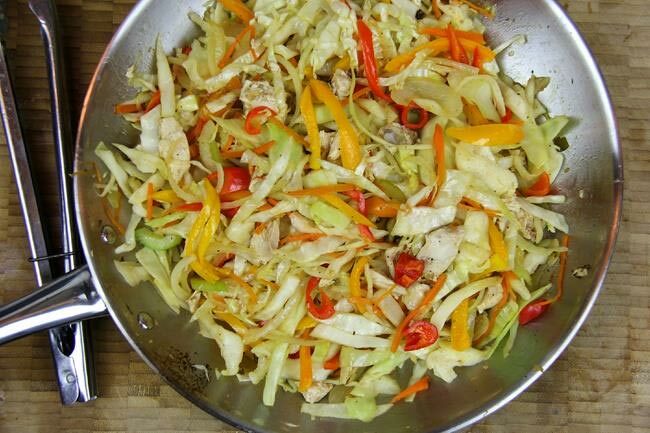 Recipe – Simple Jamaican Ackee And Saltfish Recipe. Recipe – The Ultimate Jerk Burger. Recipe – Island Style Drunk Grilled Chicken.